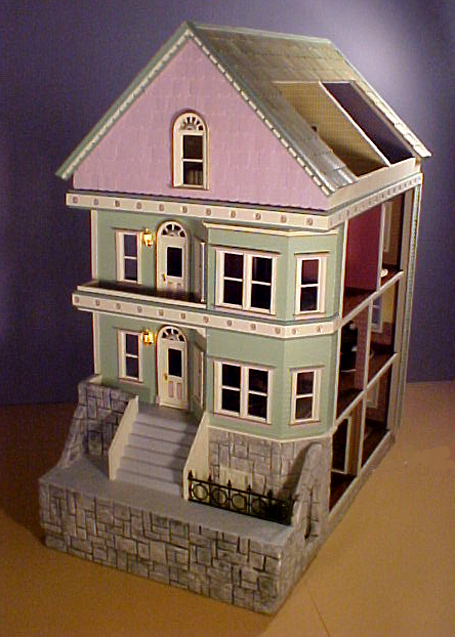 I order All dollhouses from the manufacturer and they are then shipped directly to your home. 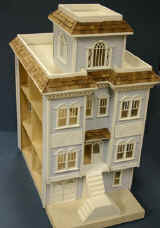 All doll houses under $200 can be discounted an extra 10%. 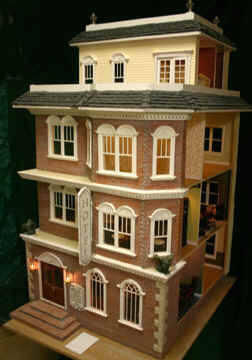 Dollhouses over $300 can be discounted an extra 15%. 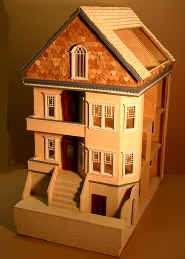 Dollhouses over $400 can be discounted an extra 20% (i.e. houses that show the price of $199.95 would be $179.95). Houses are shipped directly to you from the supplier and there is a small drop charge fee. Sorry, I cannot order anything under $200. 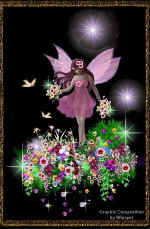 Please scroll down to the bottom of the page to view pictures of doors & windows. This is a large house with big rooms. The finished house has 15 large rooms and measures 26"Wide, 42"Deep and 48 "High. The shells and kits are made from 3/8" Baltic Birch. Windows and doors are available in component kits and you have a choice of either Houseworks or our on line of windows made by Bespaq. Bespaq windows and doors feature micro glass and are finished in rich walnut or antique white. 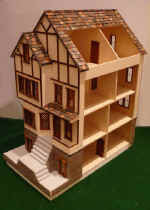 They will also fit most other dollhouse openings. The Full Scale windows and doors designed by Bespaq are available now. These are the Bespaq Exterior Door & Window Kit (MM1005), the Buckhead Exterior Door & Window Kit (MM1003), the Bespaq Interior Door Kit (M1006), or the Buckhead Interior Door Kit (MM1004). The interior is designed to be a Hotel, Department Store or Home. The Darlington is available as a kit. This is a large house with big rooms. The finished house has 17 large rooms and measures 25"Wide, 29"Deep and 48 "High. The shells and kits are made from 3/8" Baltic Birch. Windows and doors are available in component kits and you have a choice of either Houseworks or our on line of windows made by Bespaq. The Darlington show here has the new Majestic Mansion's windows and doors designed by Bespaq. Available in half scale only 1:24 can be purchased as a kit or a completed shell. The retail price of the kit is $262 and the assembled shell is $362 plus shipping. 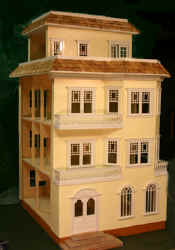 The Morningside Mansion is a Italianate and can be finished as Victorian, Mediterranean or even seaside. 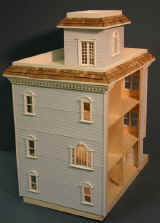 The Mansion is available as a shell or a kit. The shipping weight is only 18 pounds so it can be shipped via UPS for a nominal charge. The finished house has 13 large rooms and measures 15"Wide, 22"Deep and 26 3/8"High. This house features high 6" ceilings on the main and upper floor. The observation tower is a perfect location for an art studio or music room. The Brookhaven Manor is a true Queen Ann and can be finished as a Victorian or Tudor as shown. It is available as a shell or a kit. The shipping weight is only 18 pounds so it can be shipped via UPS for a nominal charge. The finished house has 15 large rooms and measures 13 3/4"Wide, 21 1/2"Deep and 25 1/2"High.